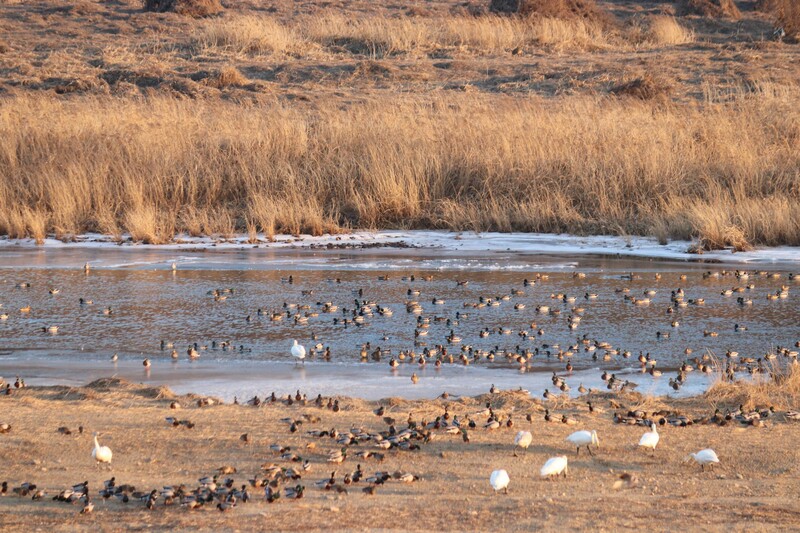 The Cheorwon Plain in the northern part of the RO Korea is an important site for wintering birds, especially cranes and geese, and has been designated as one of the 12 Flyway Network Sites (FNS ) in the country. The Plain is dominated by rice fields fed by water from a number of reservoirs, and the Hantang River also flows through the site. 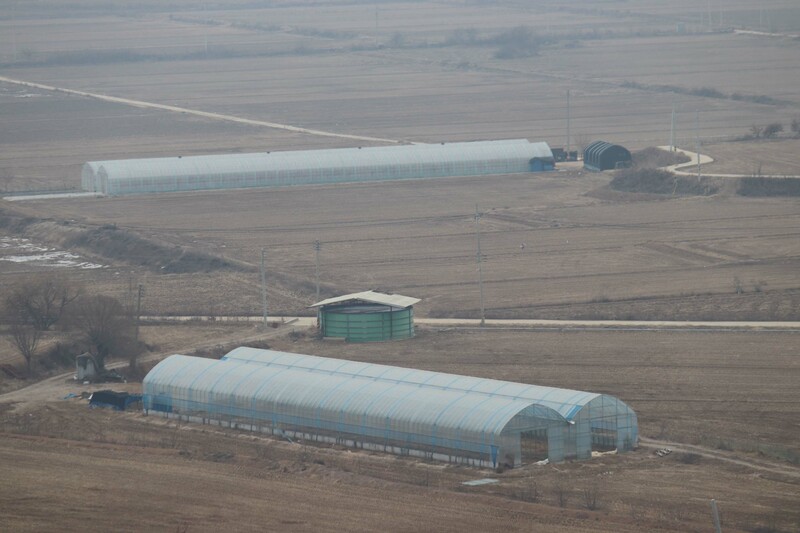 One reason for the importance of the site is that part of the area of rice fields fall inside the Civilian Control Zone of the Demilitarized Zone between the DPR Korea and RO Korea. 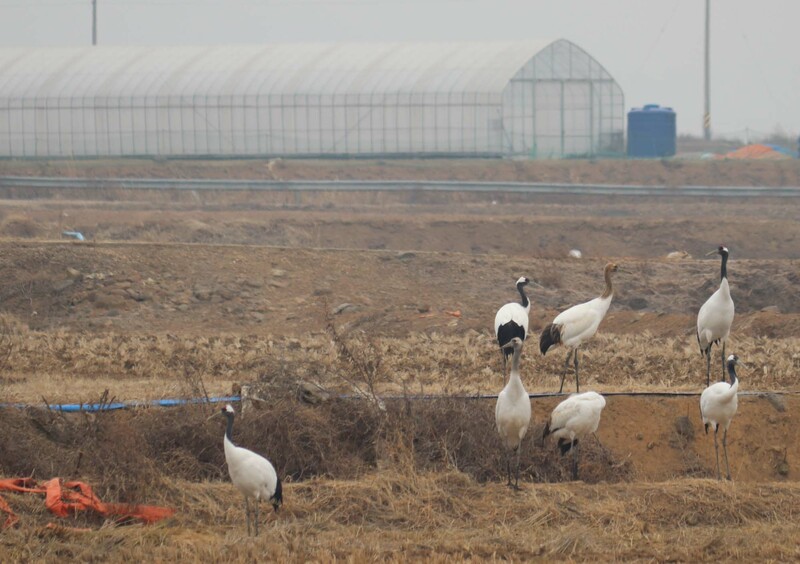 This has helped to limit urban development and human disturbance generally, thus allowing the wintering birds, especially the cranes, to feed on the fallen rice grains that have fallen after harvesting in autumn. On 18 December, the EAAFP Secretariat and Dr. Lee Kisup visited Cheorwon to discuss the conservation of the site with local officials such as the Mayor of Cheorwon (Mr. LEE Hyun Jong), and Mr. KIM Yeonggyu and Mr. KWON Dae In who are responsible for the management of the Cheorwon FNS. One of the issues discussed was the gradual reduction in the width of the CCZ over the past years and intensification in landuse of the newly released areas, with replacement of areas of rice fields by greenhouses, livestock farms and other uses. With the improving relationship between the DPRK and the ROK, it can be expected that the ROK government will continue to reduce the width of the CCZ. 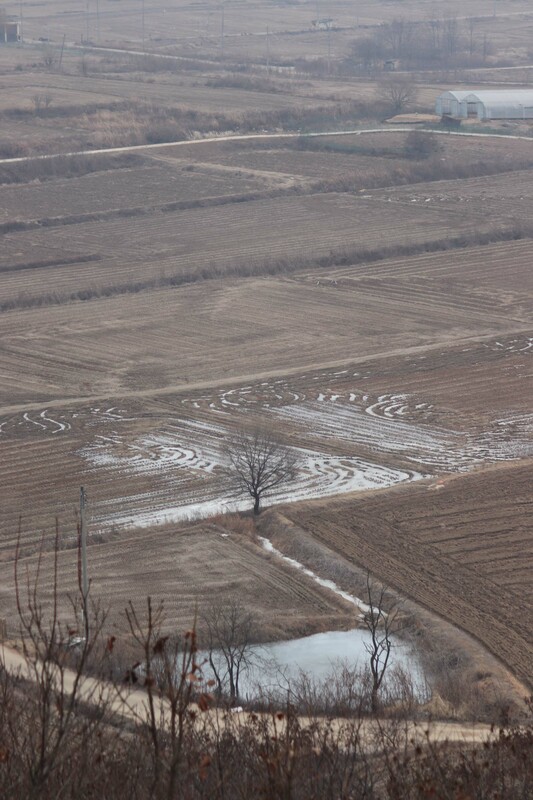 The concern then is that further area of rice field feeding habitat for wintering birds will be changed to other uses. It is therefore important to plan for the future and to identify the key areas for conservation. Whilst it may be easier to designate the key reservoirs roosting areas for the wintering birds as conservation areas, more negotiations will be needed with the rice farmers to include their land for conservation.